Applying 13-34-55 EMA principle to Nifty Daily chart it if found that Nifty close below 13 EMA line(4463). 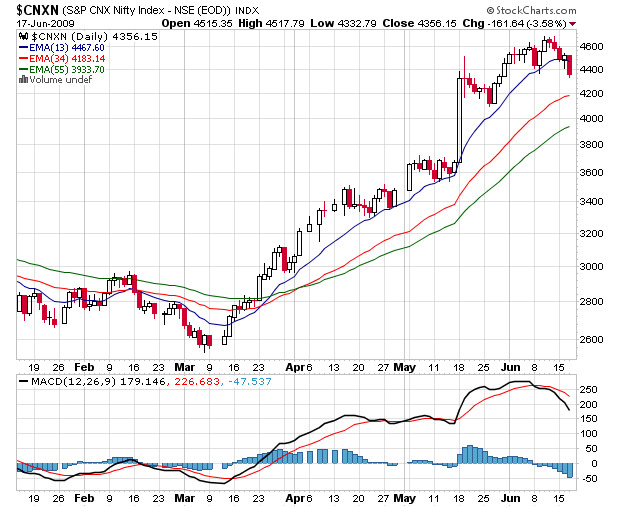 so, if close above 4463 on EOD shall we go for long?? Yes sir, it's very sad, bulls takes a month's time to come up, bears took charge within a weekExpecting eagarly for your next post.